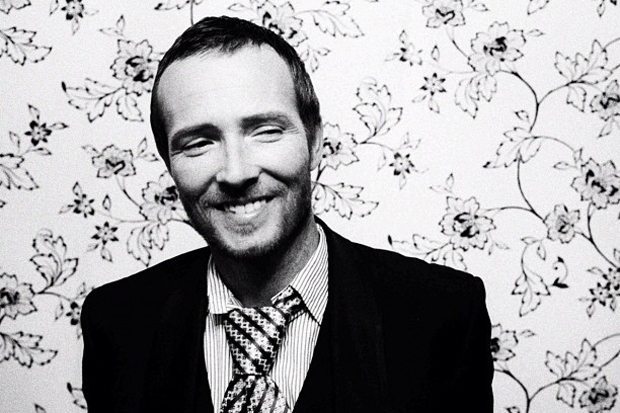 It's more than 20 years since Stone Temple Pilots' debut, Core, yet, frontman Scott Weiland remains swept up in the winds of STP-related controversy. Hours before launching his solo Purple at the Core tour, Weiland's on-again/off-again bandmates in STP announced via press release that he'd been let go. The outspoken singer responded via his own statement, confused as to how he could "be 'terminated' from a band that I founded, fronted and co-wrote many of its biggest hits." He later suggested (seemingly tongue-in-cheek) that it was all a ruse to create buzz for ticket sales. At the moment, none of that matters. The only turbulence Weiland is concerned with is coming from the Canadian ice storms he and his current touring band, the Wildabouts, have been hurtling through en route to Niagara Falls in an RV that's lost heat and electric. "You've seenHurt Locker," quips Weiland, speaking on the phone. "Well, we were in Davy Jones' ice locker." Tired and a bit frigid, but definitely not broken, the 45-year-old rock survivor shared some advice. It's good to get in the trenches and really connect with the fans.You have to sort of feel passionate and feel real about [playing music], and be pragmatic that, unless you do it the real way, you're not gonna make any money. I'm one of the luckiest people in the world that I was able to do what I fell in love with and be able to make a living doing it. But it's a shame that the part that I love about it the most, which is the artistic part — creating, writing and producing music — there's not that emphasis put on it anymore because the business people don't make money from it. I still love making records, and I'm able to do it because I own my own studio, and I try to do it as much as possible. That's what I really, really get off on. And I love playing live. I just don't necessarily like being away from my fiancé and my kids for extended periods of time. That's the only part about it that kind of gets to me. And having to wear dirty socks for three days in a row sometimes. People would come up to me and say, "Scott, people really root for you." I haven't heard that in a long time, and I don't know why. It was a very special thing that people would say, and I would hear it all the time. But the interesting thing is that it's been almost 11 years since I used drugs, and I don't really hear it [anymore] except from my friends. There's another side of it that I take personally. For example, we had to cross into Canada last night to make it to the show in Niagara Falls, and we went to the border crossing. There was this really cool [customs official], and he took our passports and he asked us if we had anything to declare. We told him we had a little bit of food, a little bit of beverages, and on days off, some of the guys in the band would play some paintball. So we thought everything was cool. He says, "Just pull over on the side for the routine inspection." So we pull over to the side, and as luck would have it, this Mr. Mountie Friendly read us the inquisition about past transgressions decades long-gone. That's a life I barely recognize anymore, and the point is, I've been on tour throughout Canada over the last couple decades many, many times. I've never been treated that way before. It was kind of shocking, and it was actually kind of humiliating. Now bands really have to self-promote. They have to update their Facebook and be on Twitter. The ones who really self-promote are making their daily videos to keep their fans active because people want daily information. It's sort of instant gratification, like, "What have you done for me lately?" I'm not saying it's bad. It's just different. But with that, there's a feeling that you do have to be more responsible for the decisions you make, because there's not the same privacy there was before. Rocketing to success overnight was what you dreamed of, but there's no way to prepare yourself for it.I don't think there'll ever be a time like that again: My band, Nirvana, and Pearl Jam and Soundgarden and Smashing Pumpkins going from indie bands or big local bands and regional bands to being rock stars overnight. It was a pretty magical time. At that point, people were buying CDs and even cassettes. We were selling multi-platinum albums. I think people who are younger look back at that as the last huge organic movement, and people like me or those who are sort of left, there's a rock'n'roll story that goes along with it — the resurgence of drugs within that culture. It was a perfect storm for a lot of people. There are a lot of people that were casualties though, and that's what was really unfortunate about it. I don't think that rock'n'roll is gonna save the world.I think it's fun. I do think you have a responsibility to the fans, and I have been late to shows. That's something I definitely would like to work on. But that's happened with every person in a band. Being a little bit late here and there — that's why fans come late to shows, because they expect it. Everyone has liabilities.